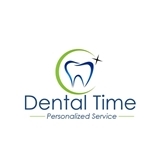 Dental Time (Houston) - Book Appointment Online! For years, we have offered the Houston community gentle and personalized dental care for both children and adults. At our office, we understand that most patients feel anxious about visiting their dentist, but you can rest assured that in the hands of our friendly, well-trained team, your procedure will be efficient and effective, giving you the healthiest smile possible. At Dental Time, we firmly believe in helping you make the most well informed decision about your teeth, and only encourage procedures that will ensure the longevity of your smile. You can approach any member of our staff for information about the options we have for you. We offer a wide array of services, ranging from general care to orthodontics, and see patients on both an appointment and a walk-in basis.